So, you worked out a budget, have some extra money saved up and would like to use that money for the greater good. You want to use your finances to live a more charitable life, but what does that life look like for you? If this sounds like your situation, chances are you’re ready to find a cause worth donating to. There are lots of worthy nonprofits out there who need financial support, so how can you pick your causes to support? 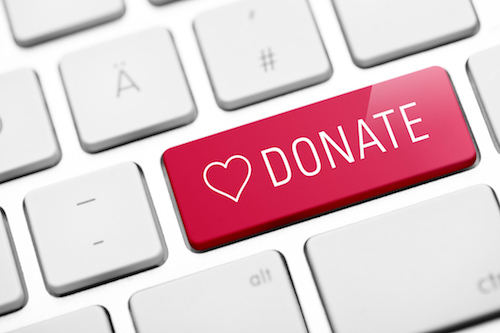 Today, we're here to help you learn how to choose the right charity for donating. After you find a cause, check out different nonprofit organizations locally, nationally or internationally who work in that field. A New Leaf, for example, is aligned with several causes: homelessness, domestic violence, foster care, mental health, child welfare and financial literacy. Search through various nonprofit organizations to find one you can donate to which fits your passion, goals and support. Along with legitimacy comes the nonprofit’s expenditures. Research to see where their money typically goes. All organizations need to support their staff and administration, but make sure the majority of their finances go directly towards support the clients they serve. After you have considered all aspects and made your donation, check out if your donation is tax deductible. For your donation to be tax deductible, the organization must be registered with the IRS as a nonprofit. Also, consider donating through the Arizona Tax Credit Program so that you can receive up to $800 in state tax credits for the year. Finally, remember to give more than money by volunteering and working with some of your favorite nonprofits. While donations are always appreciated and valued, getting involved and working hands-on is often an unforgettable experience, which benefits both you and the organization. Live charitably in all areas of your life by contributing your time as well.